Pocket App, the UK’s largest independent app developer, has announced the launch of CyberSense, a new app developed for Internet Matters, an independent not-for-profit organisation set up by BT, Sky, TalkTalk and Virgin to help parents keep their children safe online. Available immediately on iOS and Android, the app has been created as an innovative new way to educate children about online safety. 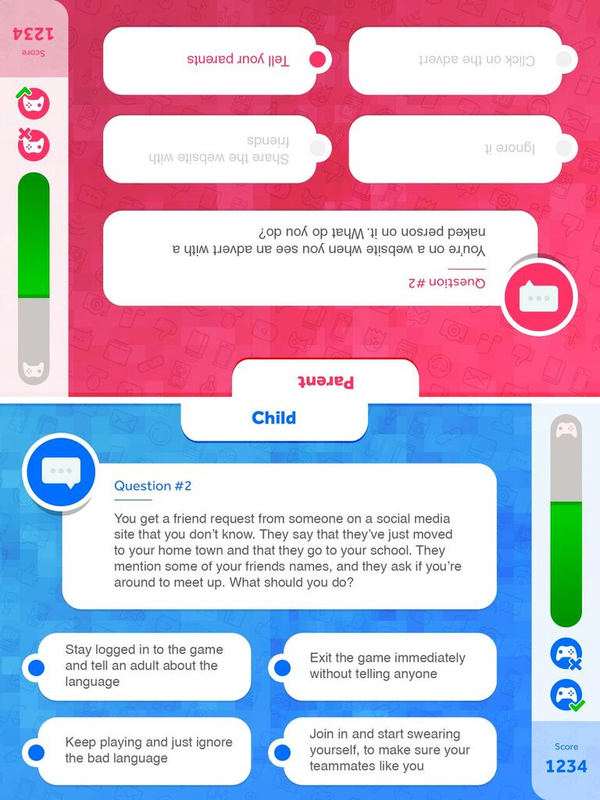 Created specifically for tablets, CyberSense is a fun and engaging app that children aged 8-10 can use to learn good online practices and features a slick split-screen quiz that allows parents and children to select one of nine topics they would like to learn more about, such as cyberbullying, advertising and web-chatting. The app is unique in that it doesn’t simply teach children about online safety, it encourages parents to use the app as a tool to be actively involved with the teaching process. When a quiz category is launched, the tablet screen splits into two, so that parents and children can answer the multiple-choice questions simultaneously. The parent is able to see which answers the child chooses, and so will be able to clearly see which subjects need further explanation. In order to further encourage young audiences to engage with the quiz, users will be rewarded with a bonus game at the end of each quiz which involves tilting the screen to guide a character through a series of challenging obstacles. By answering quiz questions correctly, users will be rewarded with more time in which to play the game. Since being released to the app market, CyberSense has had a great deal of positive feedback from parents who have found it a useful and highly engaging tool to help teach their children about online safety. The app featured in Virgin Media’s Christmas marketing campaign and has also been praised in an article in national newspaper, The Mirror, by Ulrika Jonsson as a fantastic way for parents to discuss with their children how to use the internet safely. CyberSense is available from iTunes and Google Play. More information about Pocket App at www.pocketapp.co.uk or @PocketApp. "Safari and Beach Holiday Combo: The Perfect African Safari Experience"